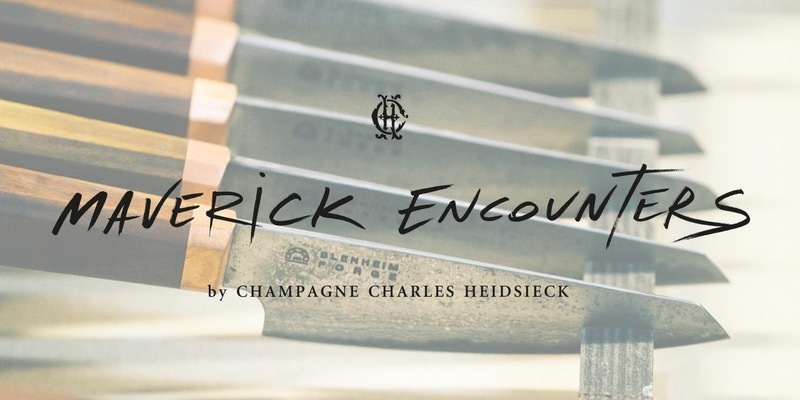 On Thursday 22nd June Champagne house Charles Heidsieck is holding an event at the excellent Blenheim Forge in Peckham, including a tour of the forge, a workshop where you can see their knives, and a food and champagne pairing masterclass with a Japanese chef. Tickets are £51 for this excellent evening. "Award winning Champagne House, Charles Heidsieck, is launching ‘Maverick Encounters’. The Maverick Encounters is a series of events aiming to celebrate modern-day ‘Mavericks’; individuals who push boundaries, go against the grain and thrive in the face of adversity; all characteristics that mirror the House’s legendary enterprising founder, Charles-Camille Heidsieck. Charles was famed for his adventurous flair and entrepreneurial spirit. His ability to create a truly unique champagne of character, to pioneer new territories – he was the first champagne merchant to conquer America. He challenged conventions and this made him a maverick of his time, an ethos that is still at the heart of the House today. To celebrate future generations of ‘Champagne Charlies’, Charles Heidsieck is hosting a series of refined events that will span the worlds of food, craft, fashion, tech and art. The first Maverick Encounter, will focus on the industrial and highly skilled Blenheim Forge, highlighting the trio of knife producers’ mastery of Japanese steel and artistic flair. You will enjoy a hands-on experience in knife craft in the forge where the trio work, and enjoy food prepared by a chef using their razor-sharp knives. This will be followed by a champagne master class hosted in the forge making for an immersive and unique evening. - Champagne Charles Heidsieck & food pairing masterclass"